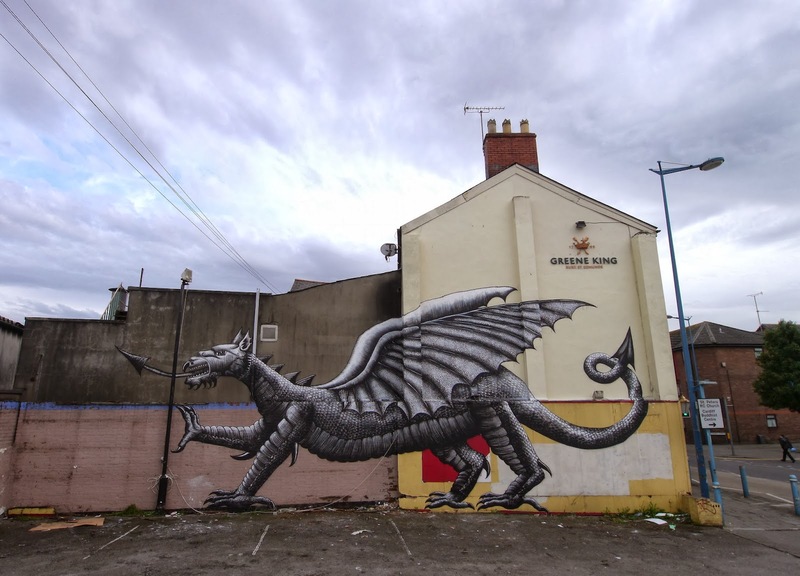 It’s time again for another Streets World Roundup where we review some the public art that you may have missfed recently. Leading things off is this sweet new mural form Phlegm. The Sheffield-based artist painted this Welsh Dragon in Roath, Cardiff for the Empty Walls Festival organized by the Modern Alchemists in Wales. You can check out more photos here. Other worthy walls come from El Mac – Los Angeles (source), Telmo Miel – Belgium (source), SatOne – Germany (source), Swoon – London (source), Mafeel – South Korea, Xuan Alyfe – Switzerland, Ernest Zacharevic – Singapore (source), (fos) – Spain (source), Klaas Van der Linden – Belgium (source), Andrey Palval – Russia, DALeast – Puerto Rico (source), Faith47 – Puerto Rico, KRIPOE – Germany, Smash137 – Detroit, BEZT – Vienna, and Maya Hayuk – Toronto. 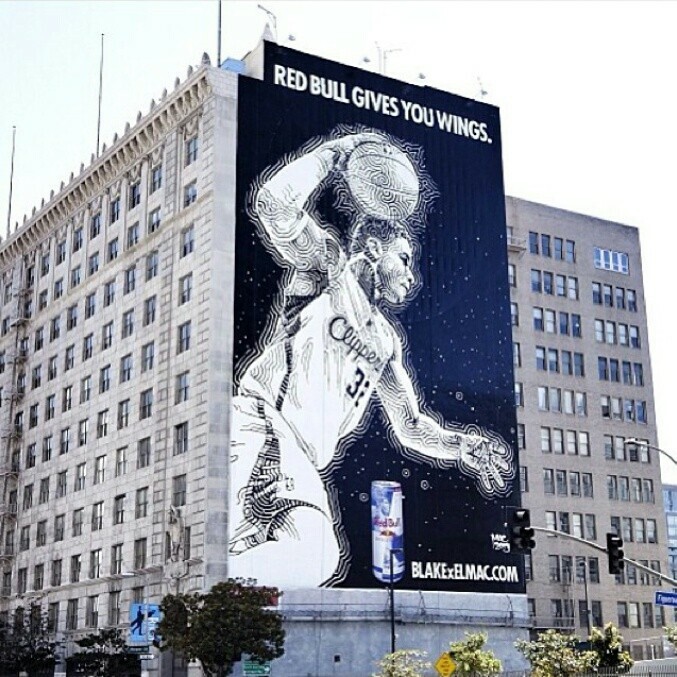 El Mac portrait of Blake Griffin in Los Angeles. Photo via Upper Playground. 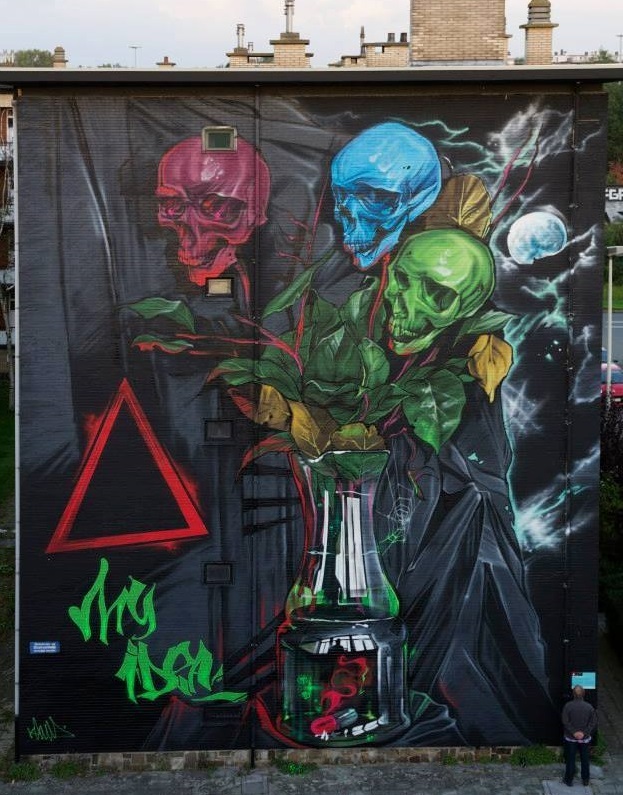 Telmo Miel for the Day One Festival out in Antwerp, Belgium. Photo via Savage Habit. 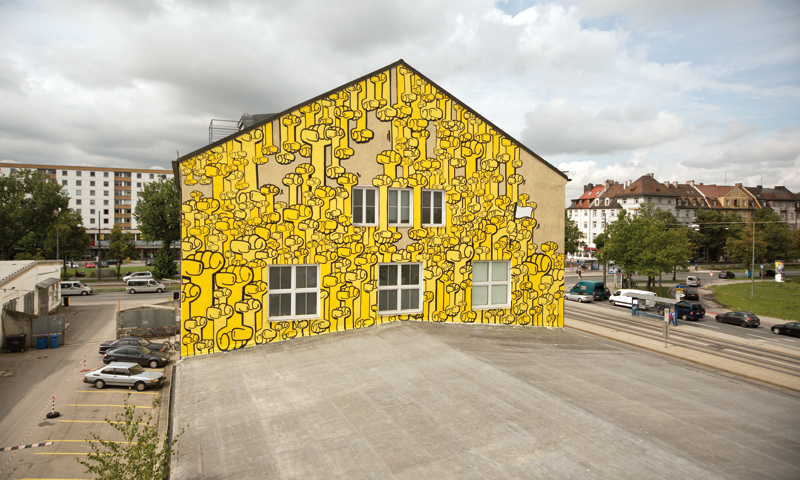 SatOne – “TI:ME” in Rockenberg, Germany at a prison. Via Graffuturism. 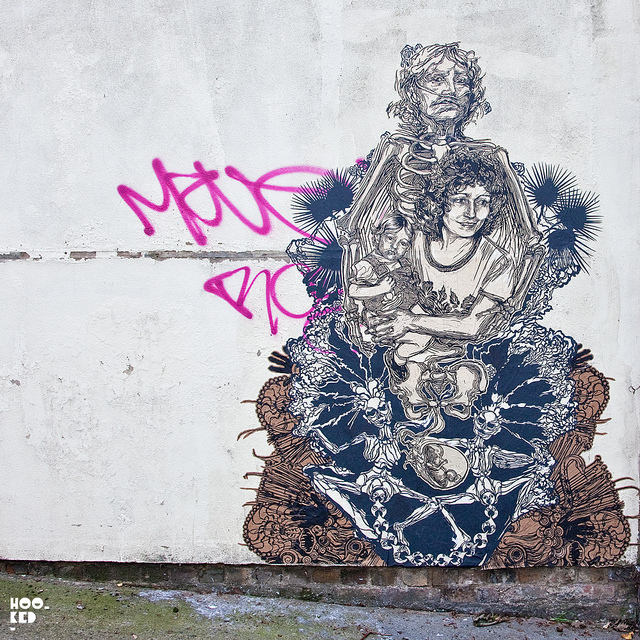 Swoon in London. Photo by Hooked Blog. 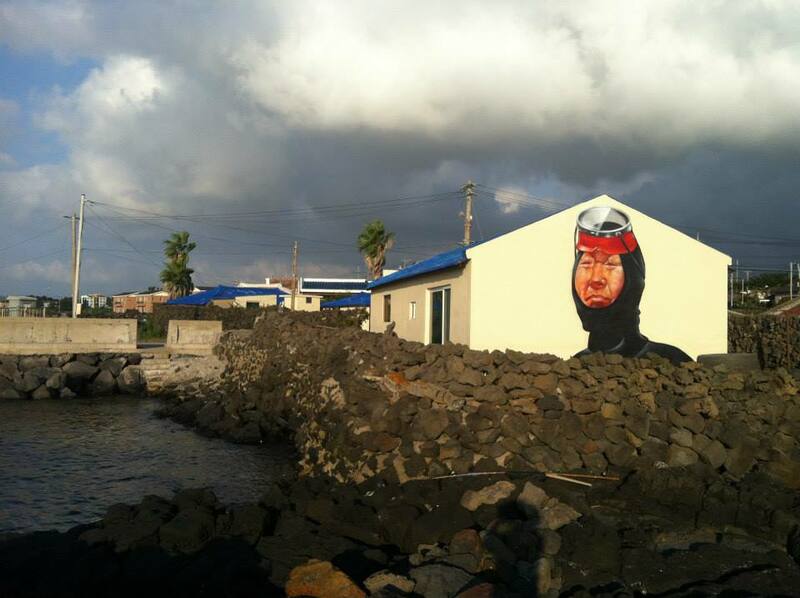 Mafeel on Jejudo island in South Korea. 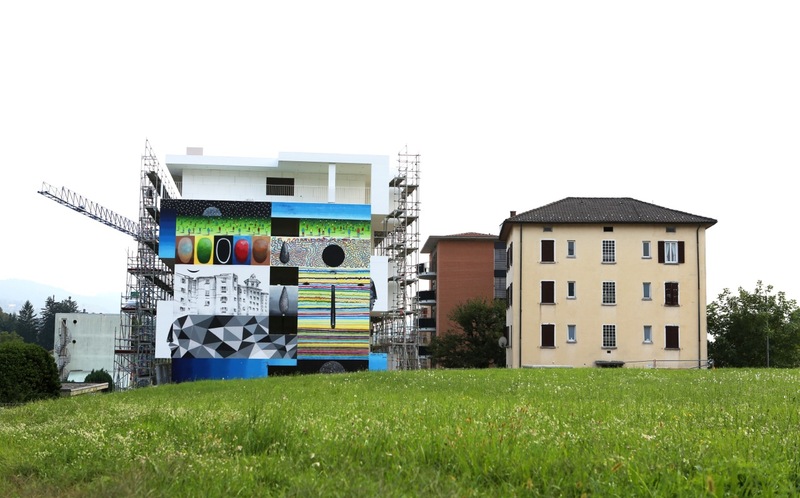 Xuan Alyfe – “Mirrors” in Lugano, Switzerland for Arte Urbana Lugano. 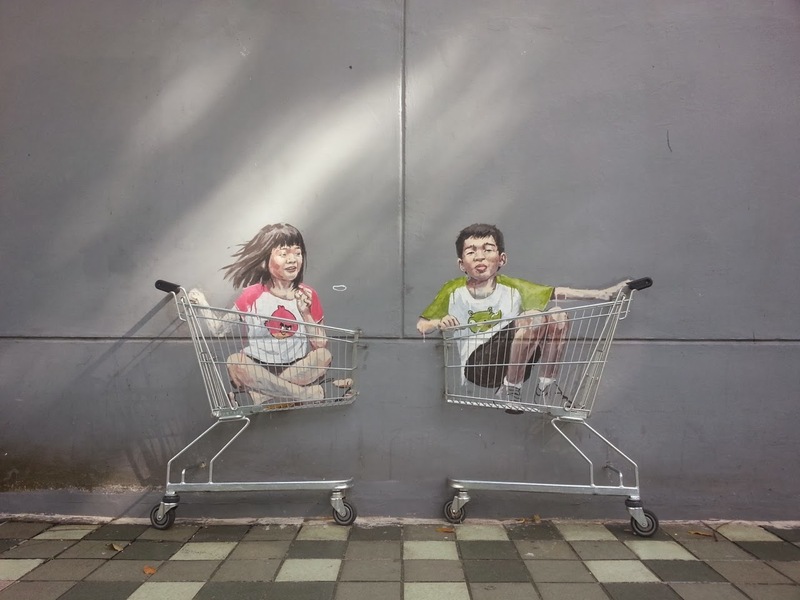 Ernest Zacharevic in Singapore. 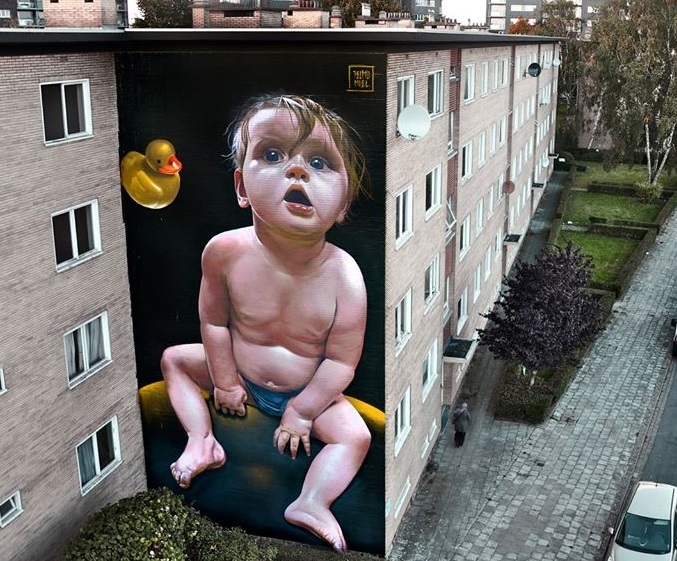 Photo via StreetArtNews. 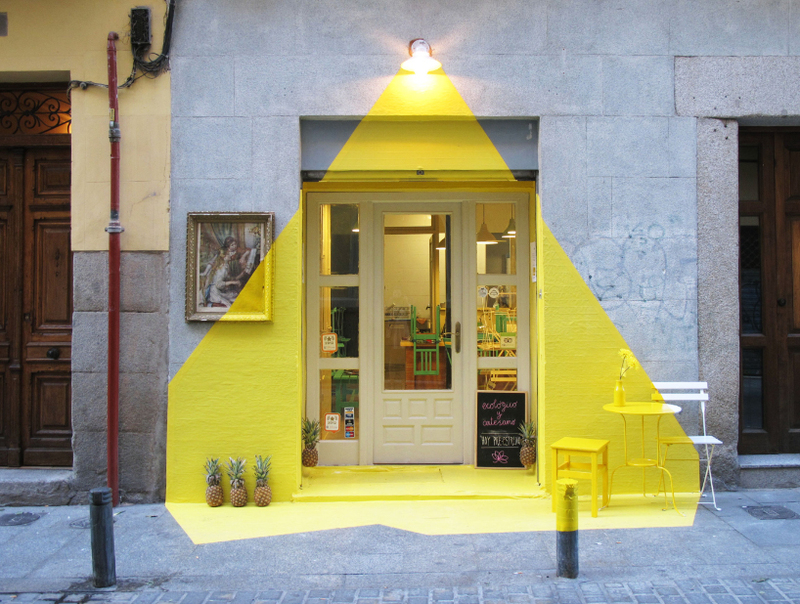 (fos) in Madrid. Photo via Designboom. 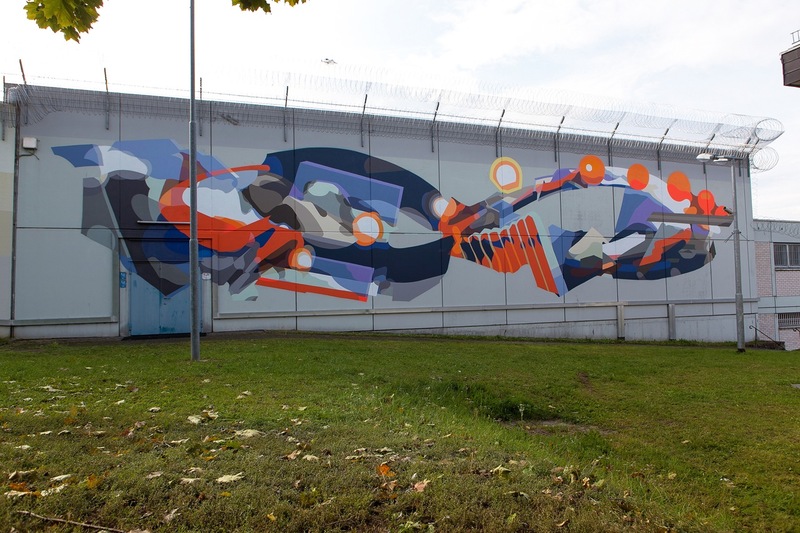 Klaas Van der Linden for the Day One Festival in Antwerp, Belgium. Photo via Savage Habit. Andrey Palval in Kharkiv, Ukraine. 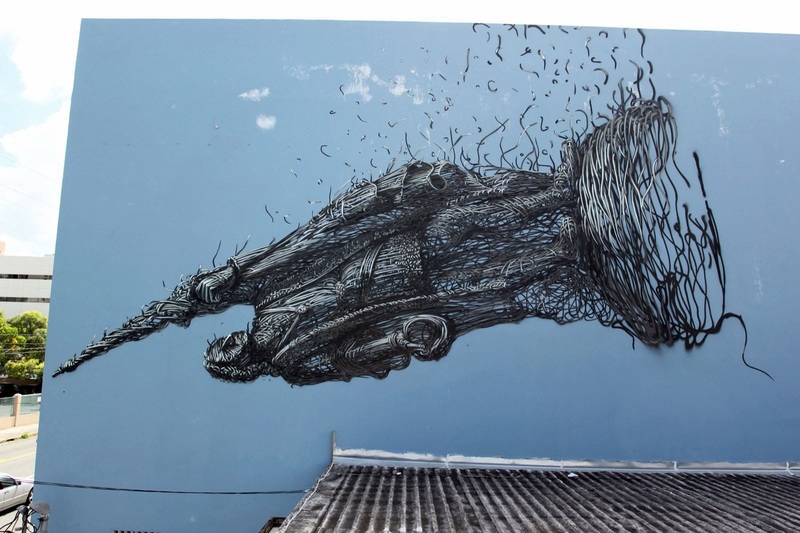 DALeast in San Juan, Puerto Rico for Los Muros Hablan. 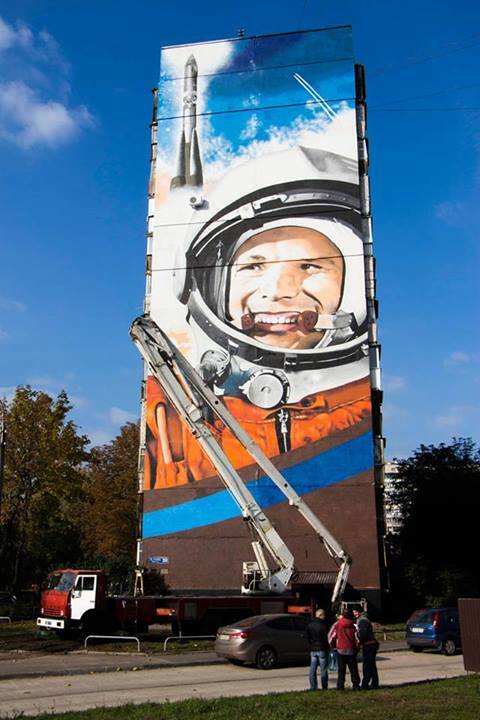 Photo via StreetArtNews. 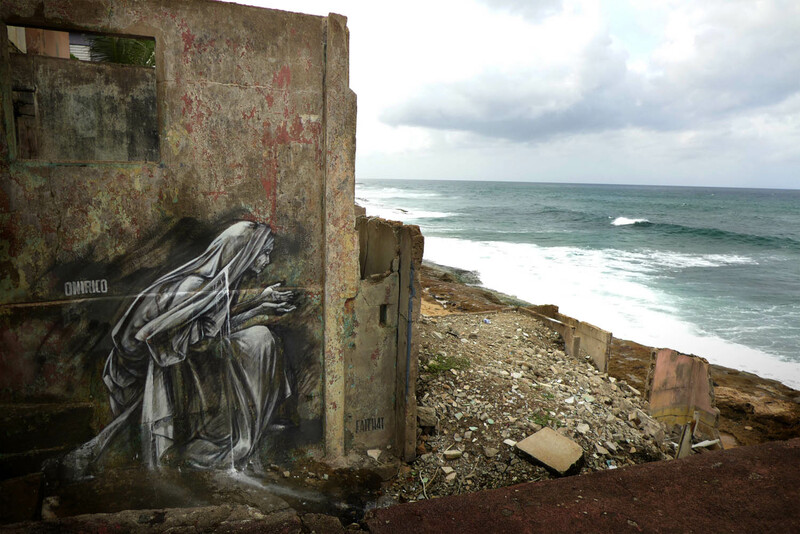 Faith47 for Los Muros Hablan in Puerto Rico. KRIPOE for Positive-Propaganda in Munich, Germany. 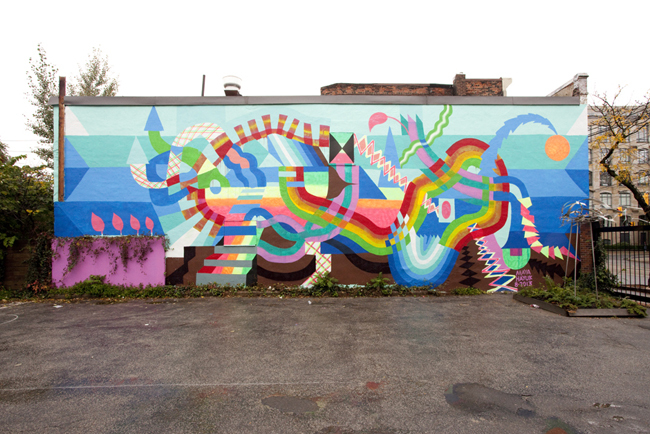 Smash 137 in Detroit, Michigan for the Library Street Collective. 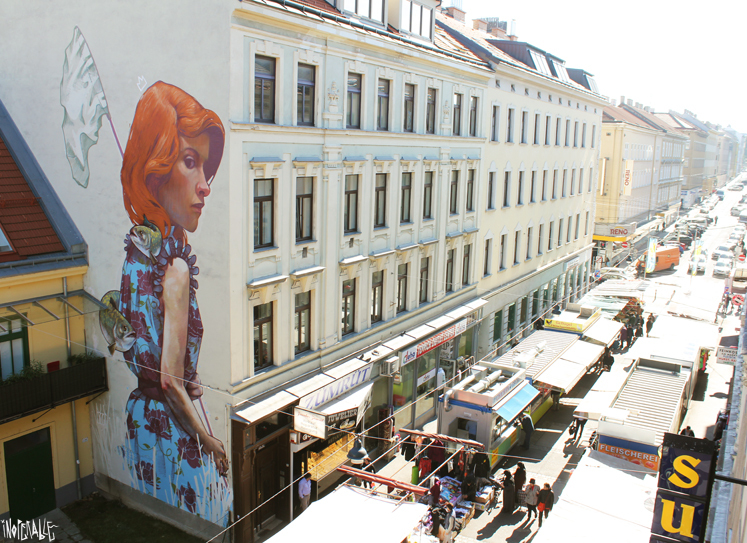 BEZT in Vienna for INOPERAbLE. 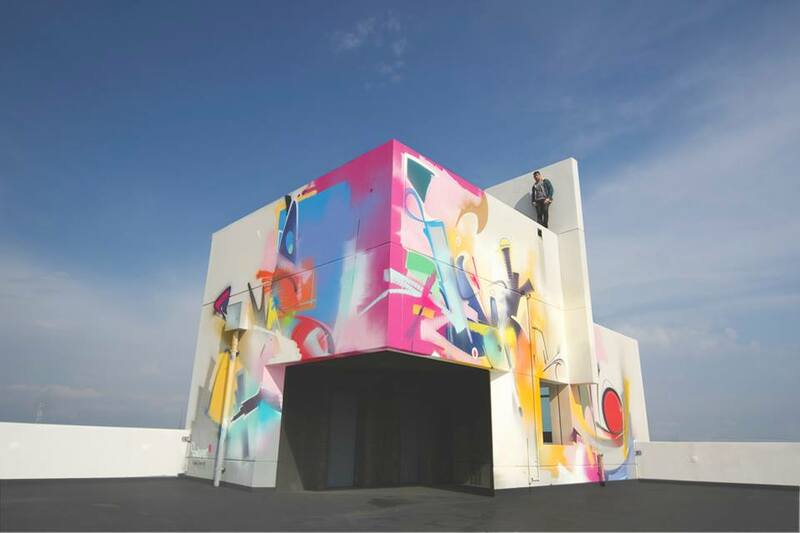 Maya Hayuk – “PMA” in Toronto for Spectrum Art Projects. Categories: Features, Seen on Streets, Street & Urban Art, Streets World Roundup. Tags: (fos), Audrey Palval, Bezt, Daleast, El Mac, Ernest Zacharevic, Faith47, Features, Klaas Van der Linden, KRIPOE, Mafeel, Maya Hayuk, SatOne, Seen on Streets, slider-featured, Smash137, Street & Urban Art, Streets World Roundup, Swoon, Telmo Miel, Xuan Alyfe.